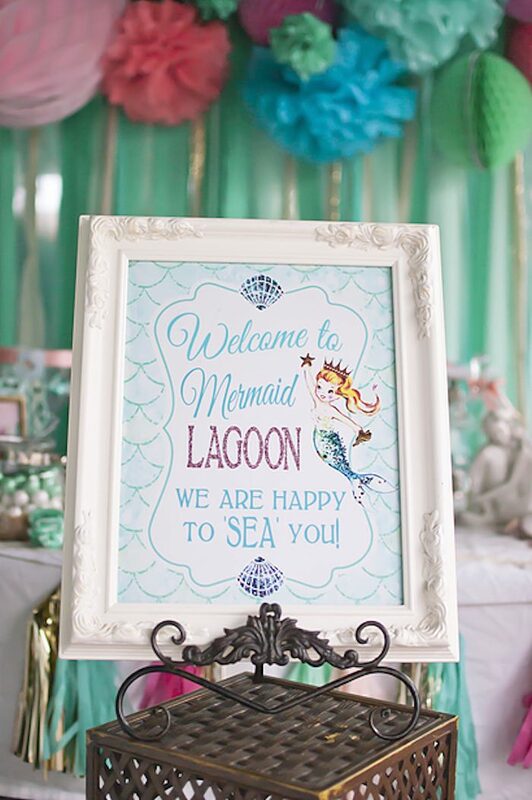 Come take a trip with me to a Magical Mermaid Lagoon! 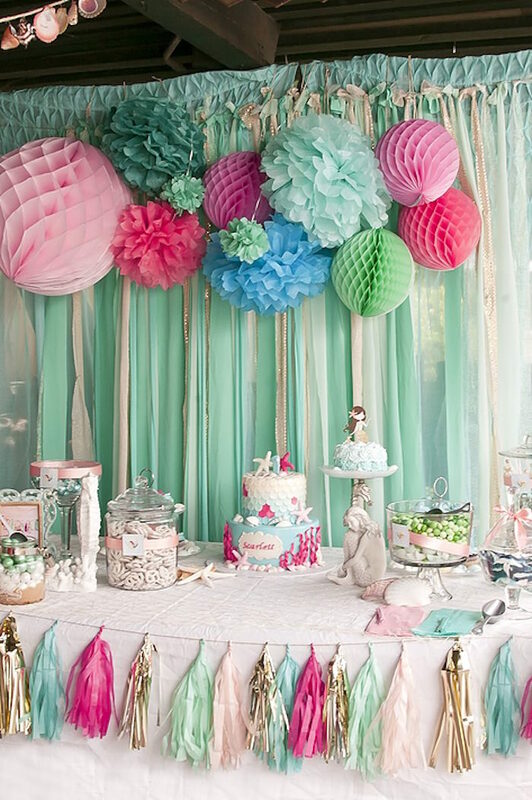 A party & place filled with wondrous and enchanting beauty, details that are sure to emit “oohs and ahhhs” over ever precious & sweet detail! 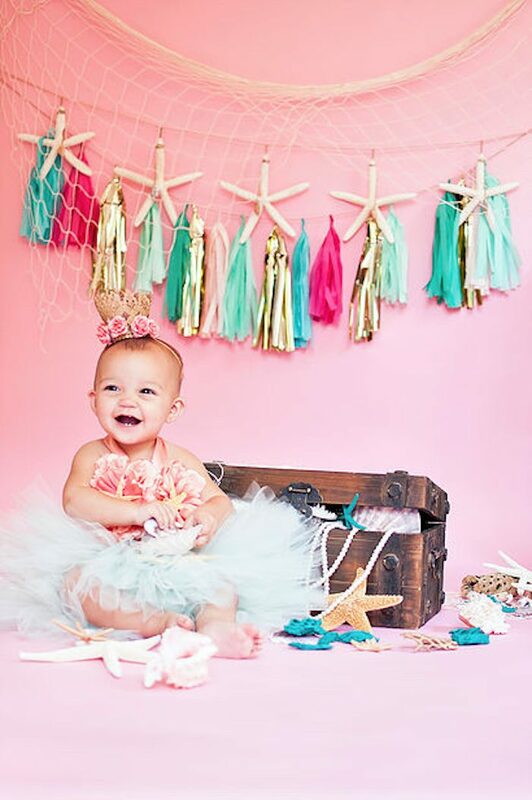 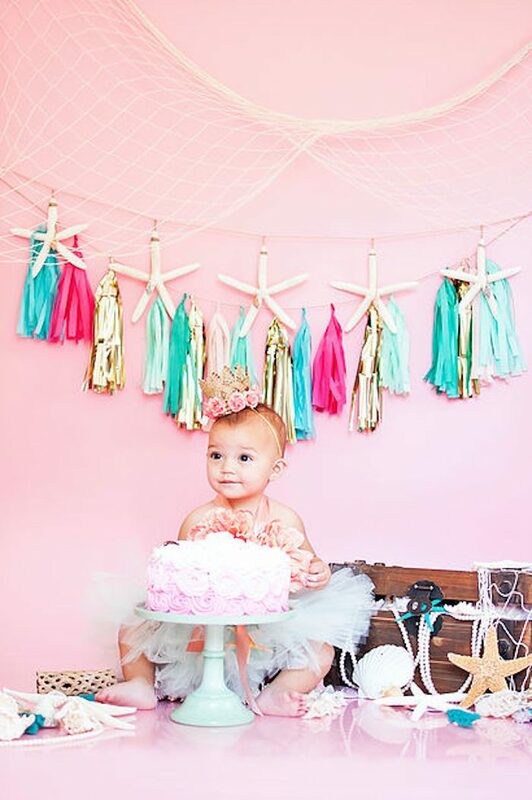 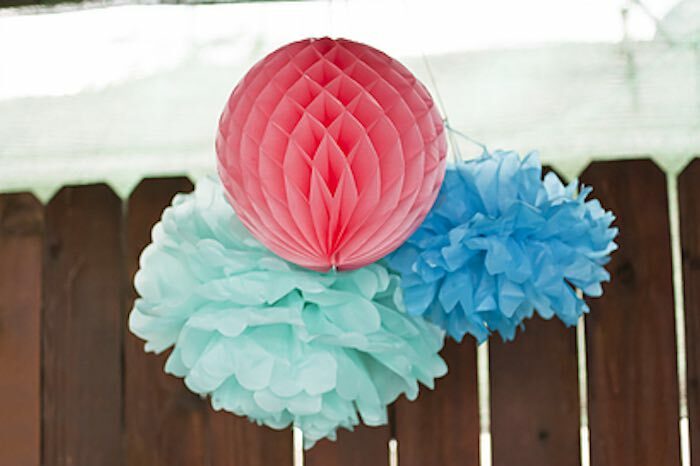 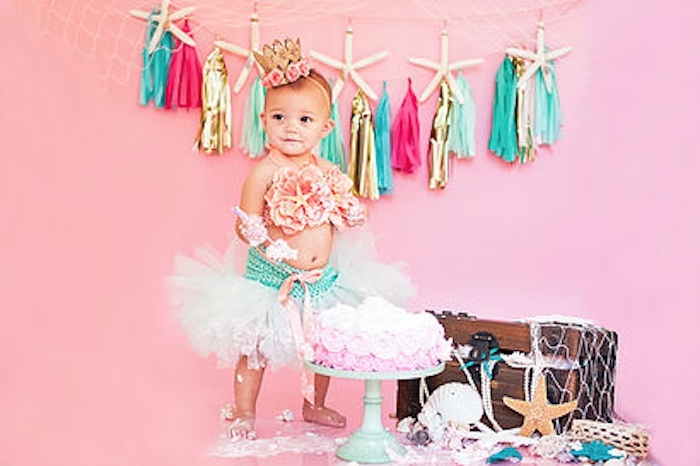 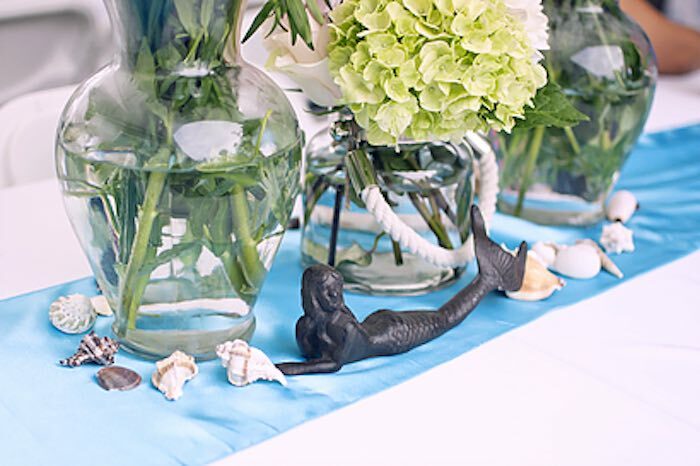 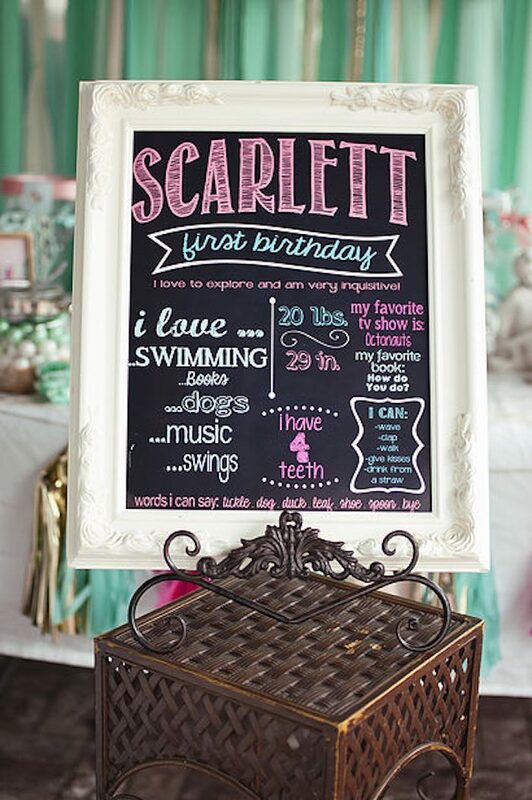 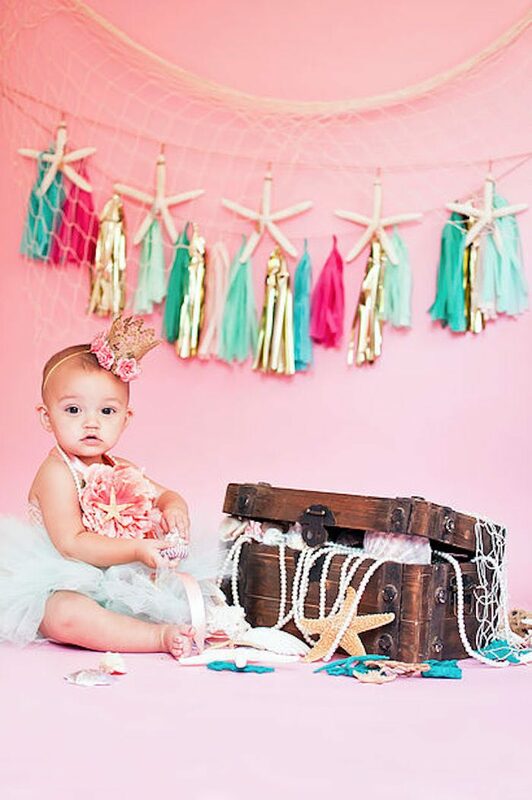 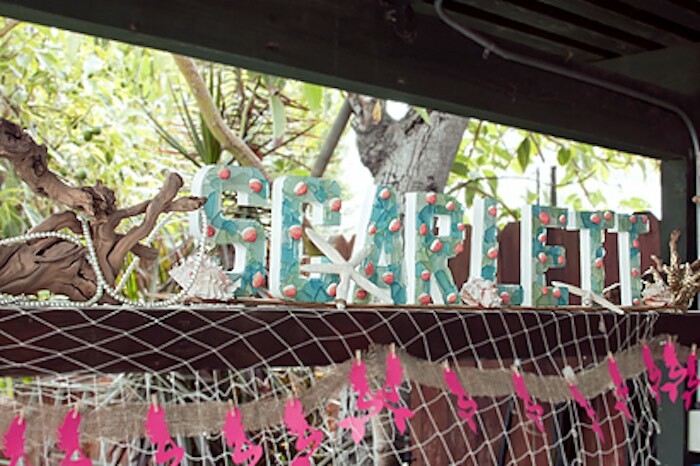 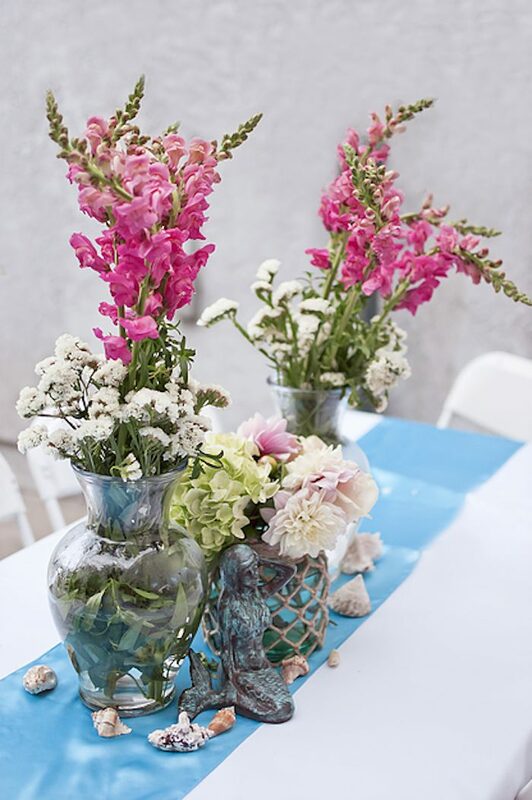 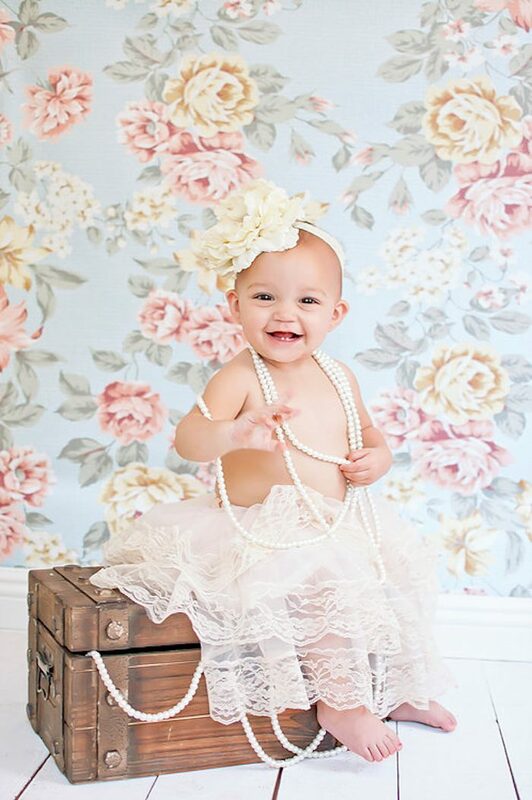 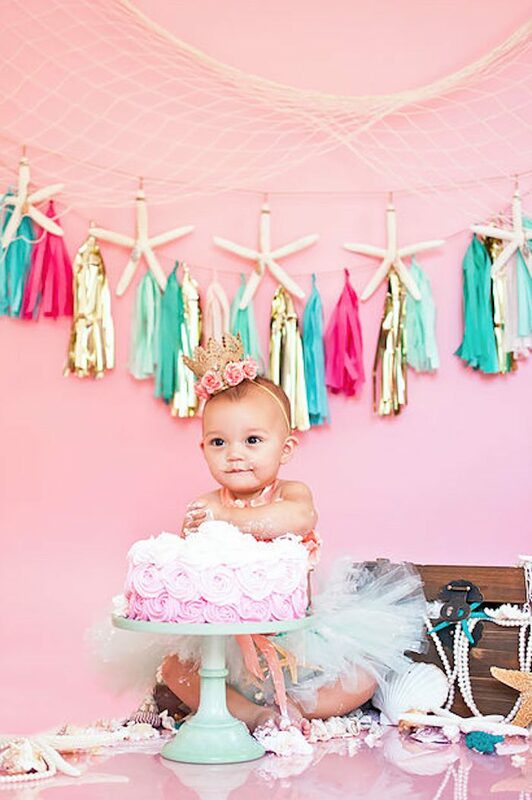 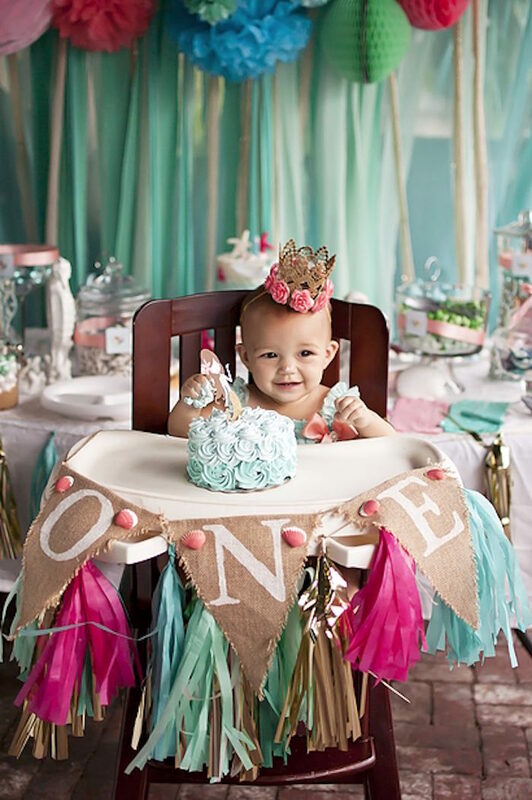 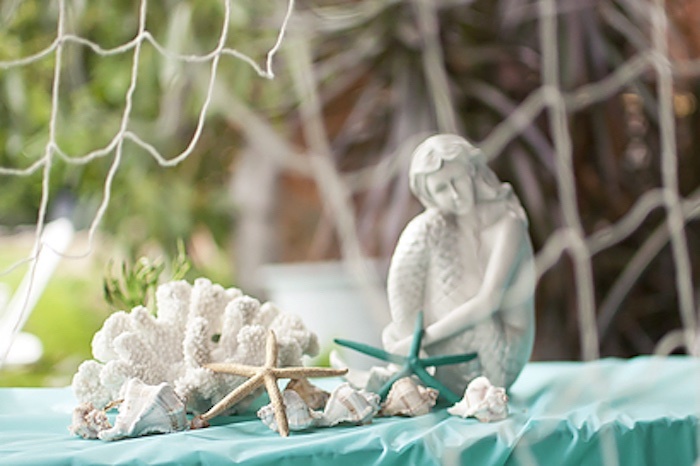 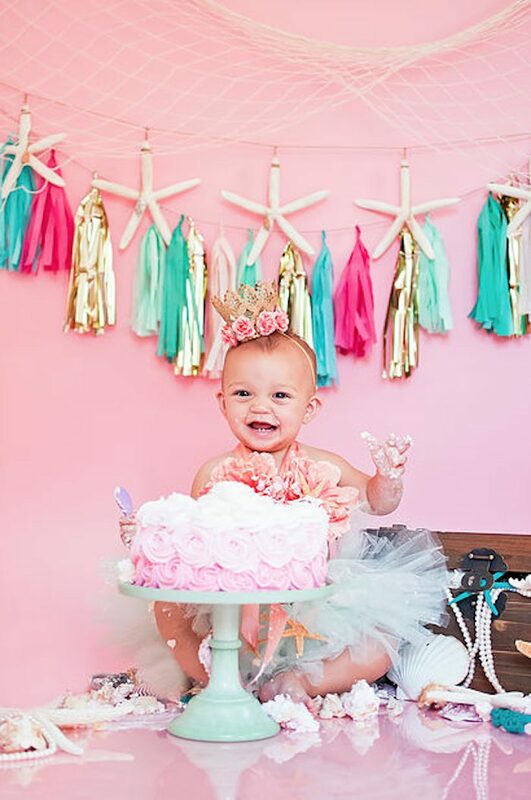 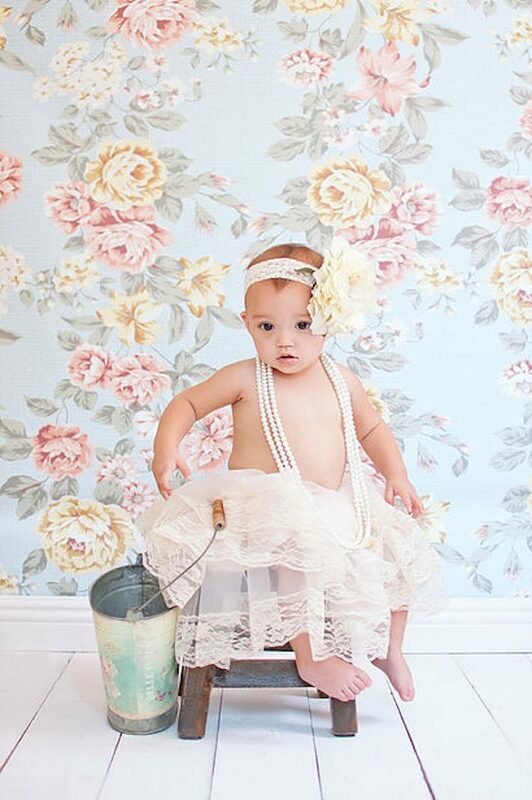 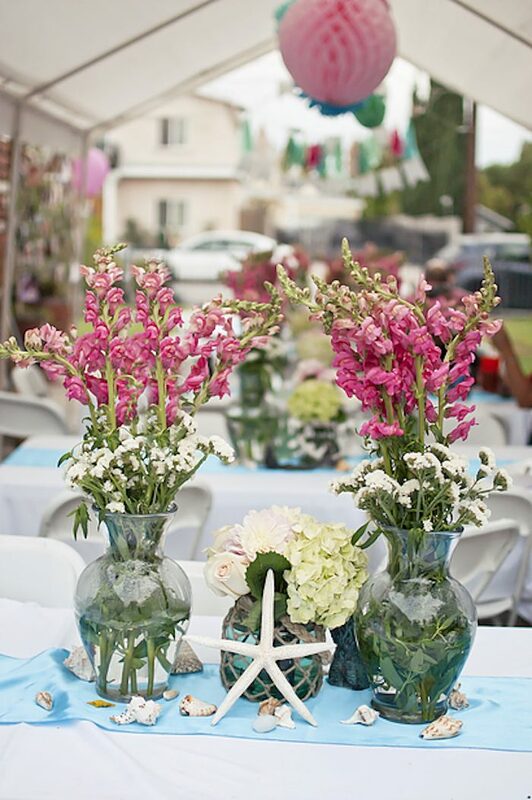 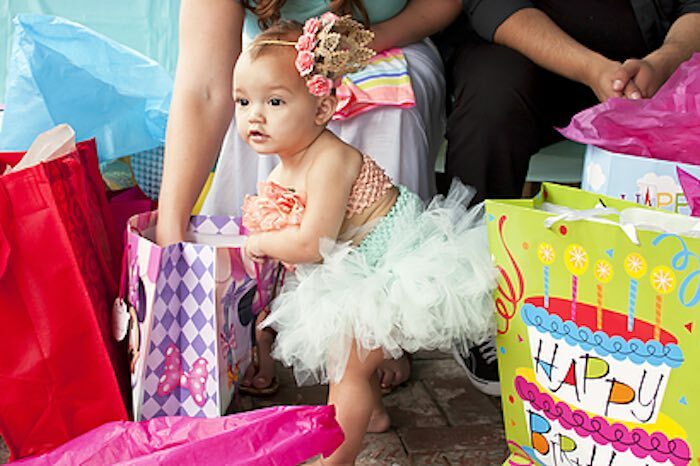 Submitted by Amber Marquez of Amber Rose Photography out of California, this incredibly darling Littlest Mermaid 1st Birthday Party is one you must see! 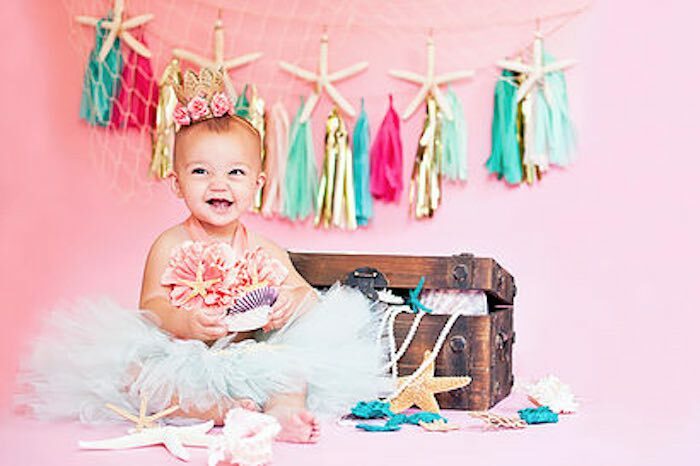 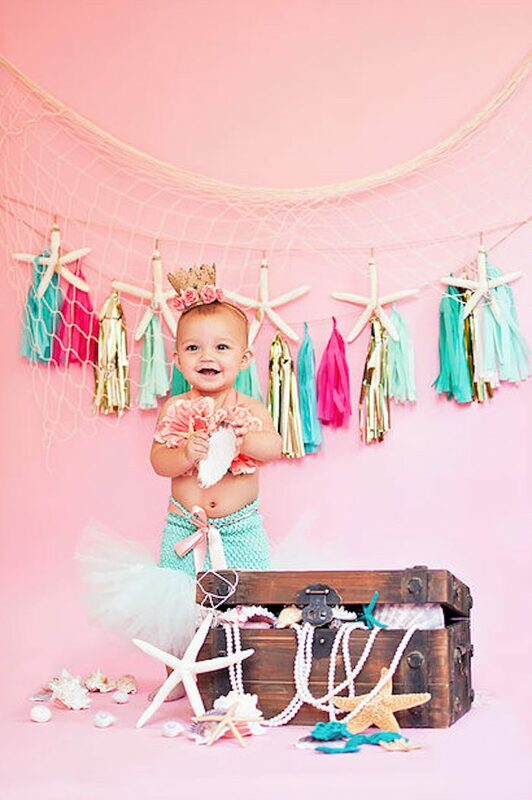 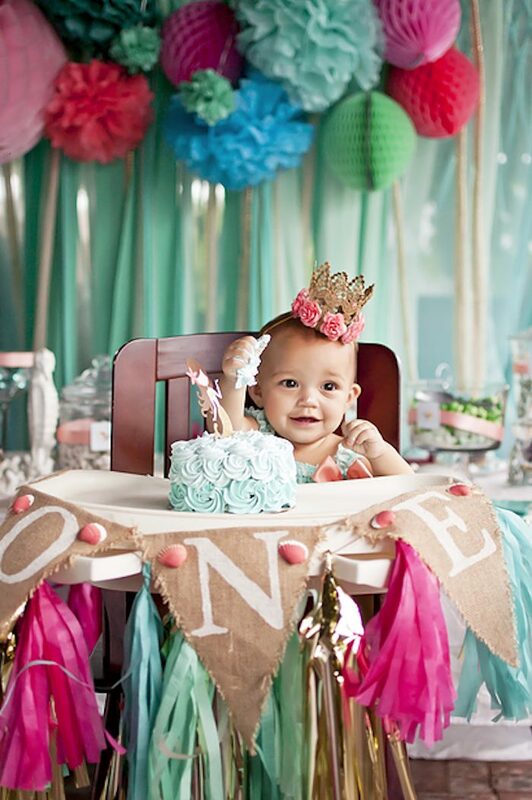 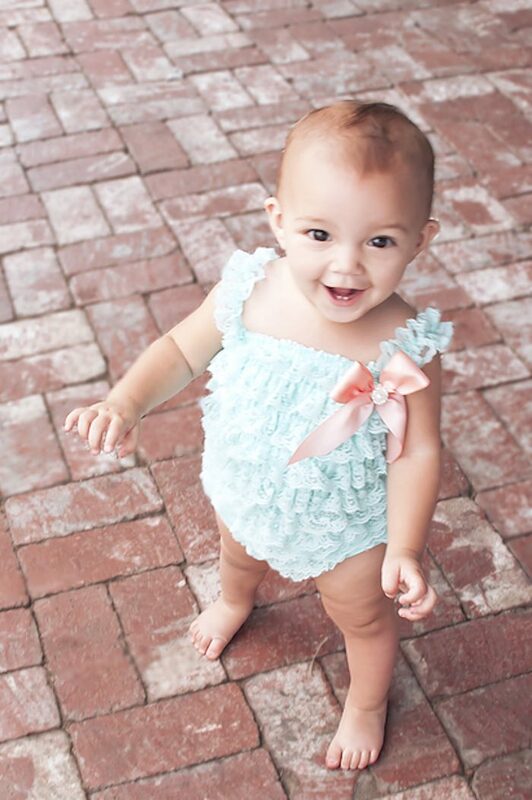 And the cutest mermaid-inspired 1st birthday photo shoot you’ll ever see! 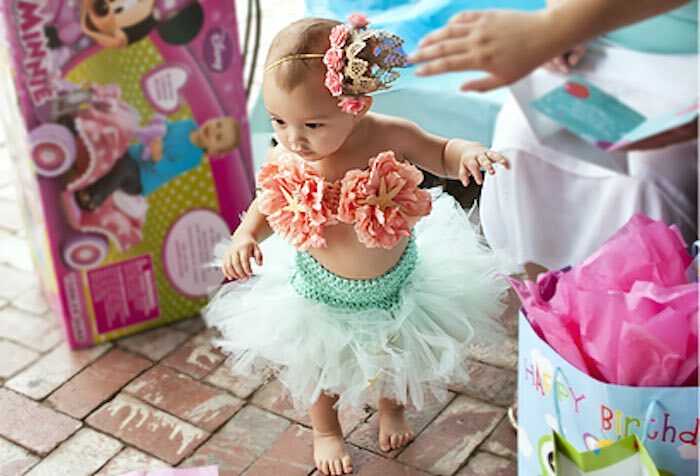 This is so precious! 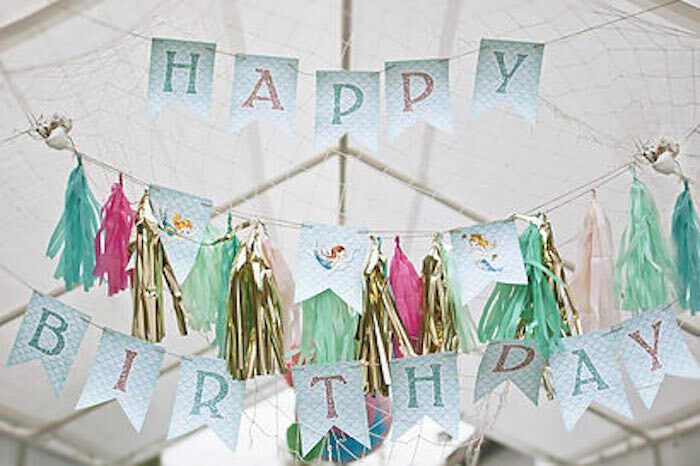 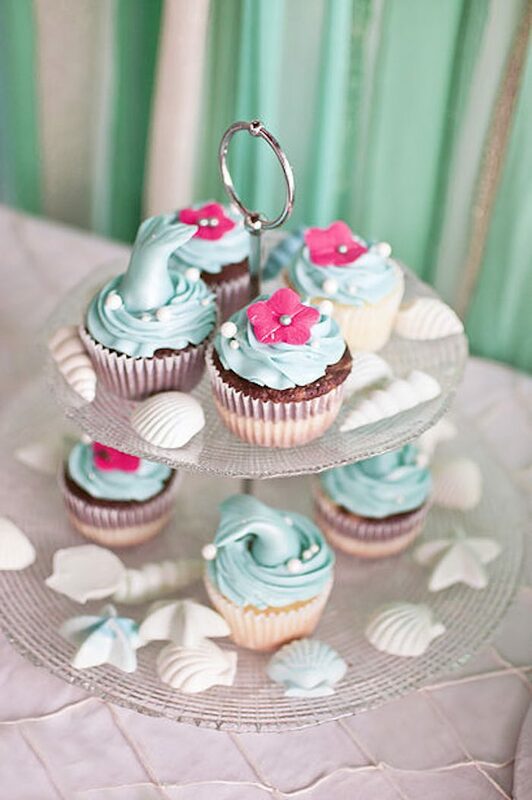 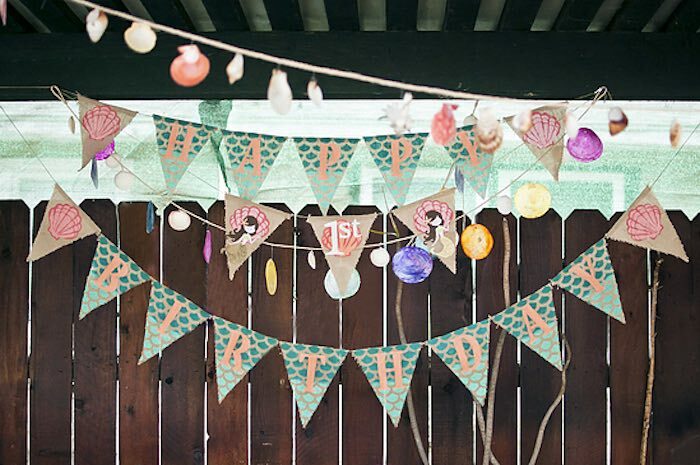 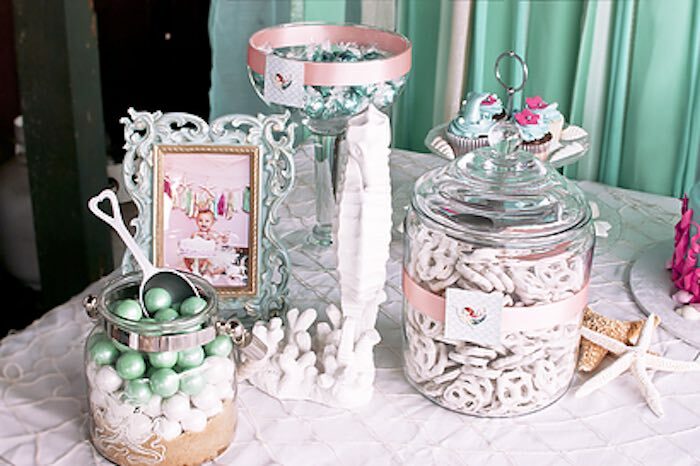 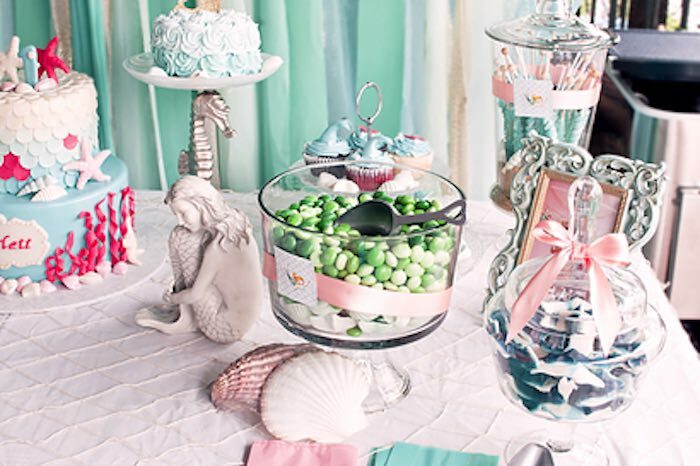 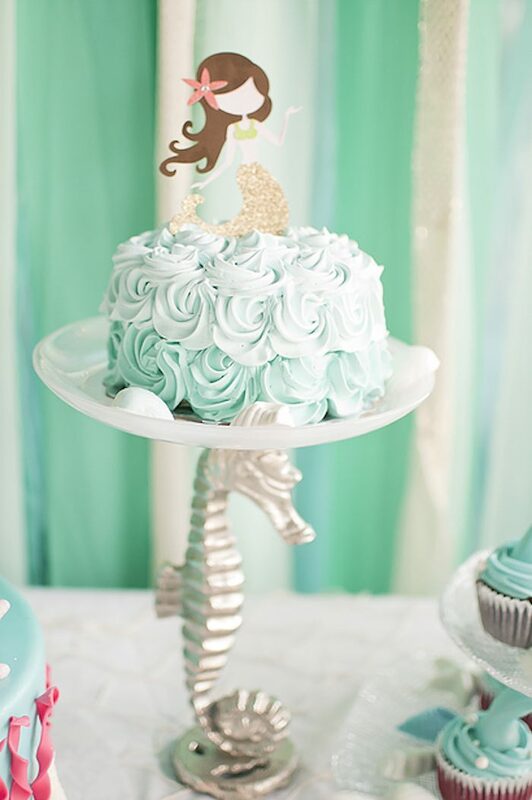 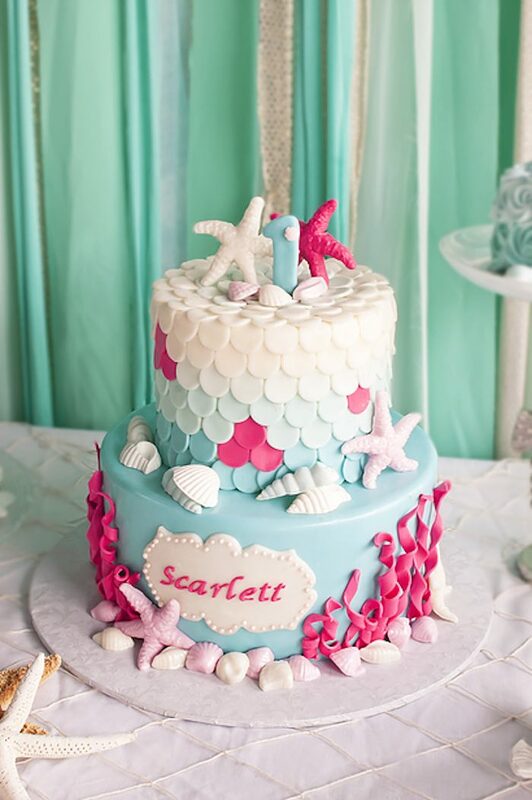 I love mermaids and your twist on it to make it a child’s birthday theme is way too cute. 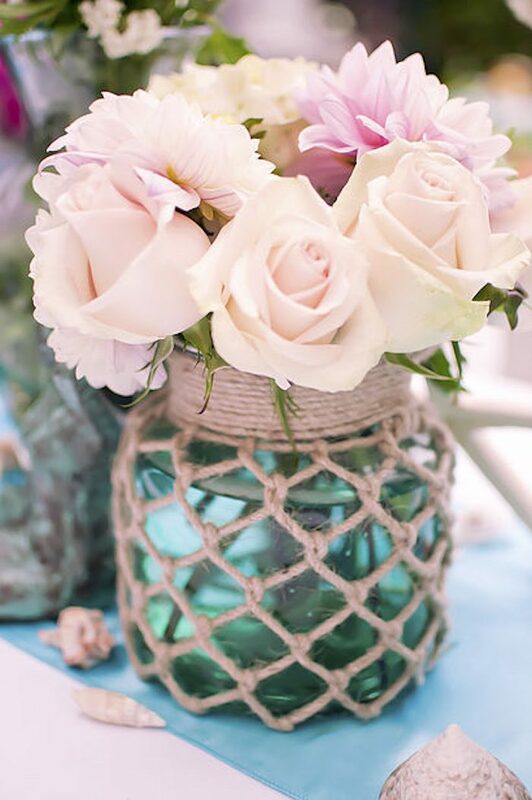 Where did you buy the net wrapped vases?! !